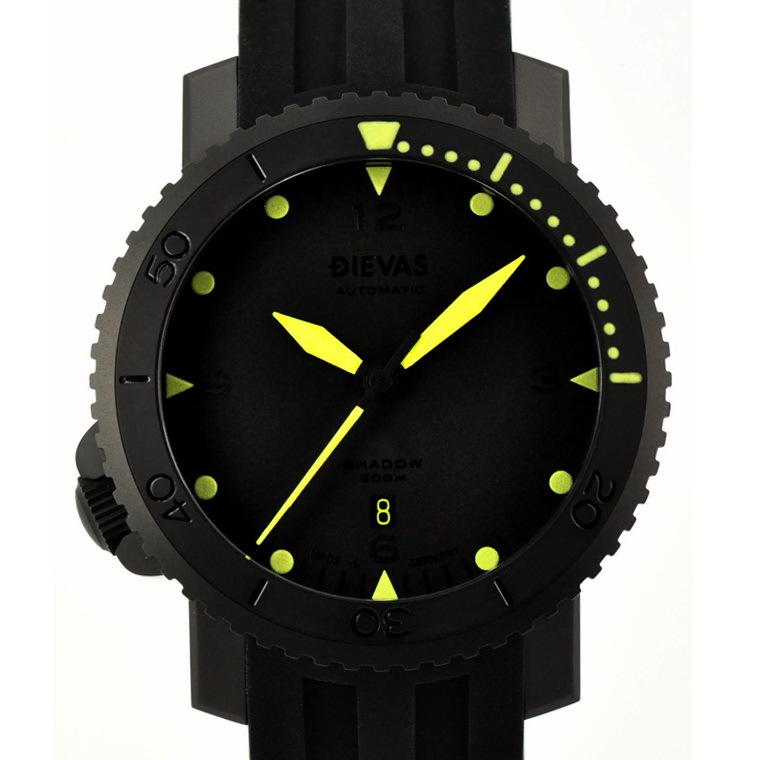 By TLex Lurking in the shadows, DIEVAS Watches introduce their latest tactical diver, the Shadow. Physically tough, visually striking, using the latest in case making technologies, the Shadow is CNC machined and milled in Germany from locally sourced high grade 316L Stainless steel and then finished by hand. 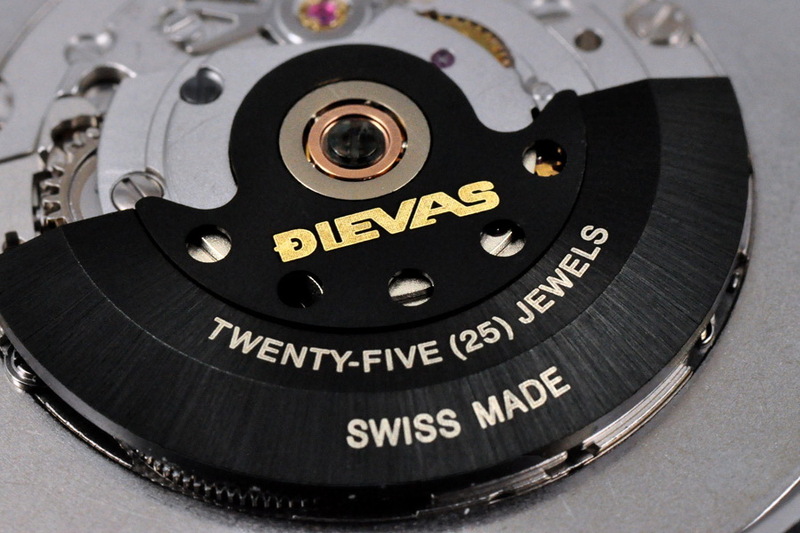 The whole watch, including the midcase, bezel, crown, and caseback is then protected by Dievas' 6STEEL hardening process making it up to 6 times the hardness of Stainless steel. 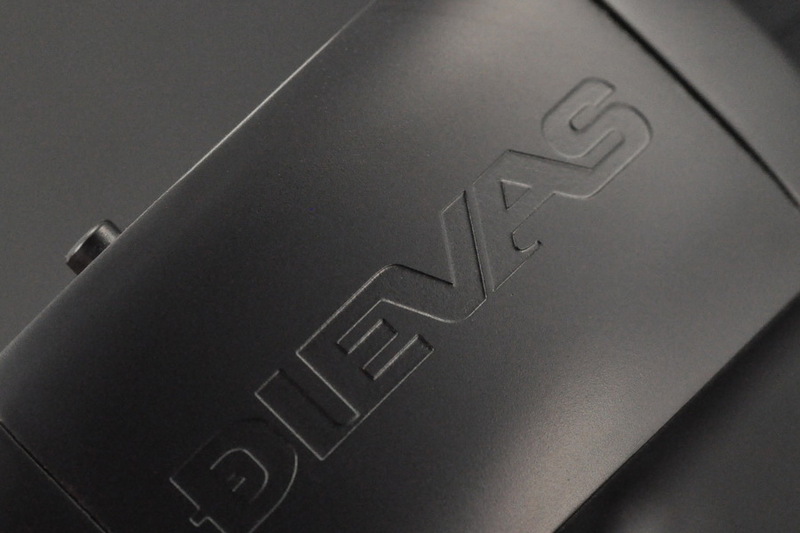 Finally it recives a further treatment with a black plasma layer with a hardness of 1800HV, even harder than the 6steel itself! The case measures 45mm x 54mm x 14.5m. 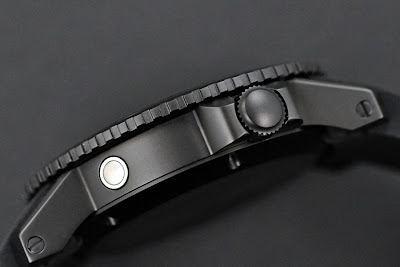 It has been fitted with a 60 click-type uni-directional divers bezel, a large Swiss made anti-glare high domed Sapphire crystal and a double O-ring 8mm screw down crown. It has a water resistance 500 metres. Its dial, which uses 4 different shades of black has been drawn in-house by Dievas' young graphics design team. 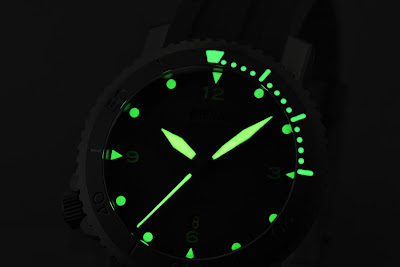 It makes the perfect backdrop for the intensely bright colored hands and markers, which have been applied with custom Swiss SuperLuminova, chosen for its dual capabilites that are highly visible during both day and night. The watch is powered by a high-grade Swiss ETA 2824 adjusted to 5 positions, modified to Dievas specifications and fitted with a custom DLC-treated CNC rotor. 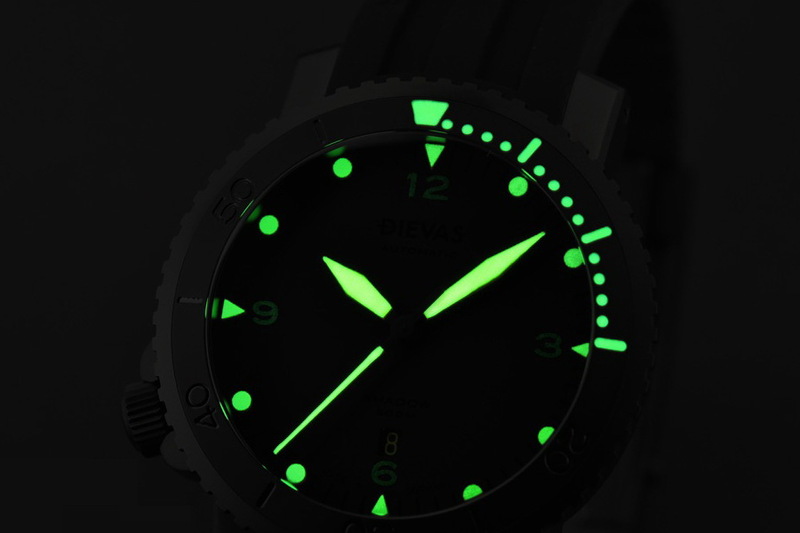 For furthers details please follow the Dievas logo below or go directly to GNOMON watches where that watch is already on sale . . .